It's been quite a while since we've covered the latest news, so this week Chris and Rachael are here to catch you up on what's been going on! 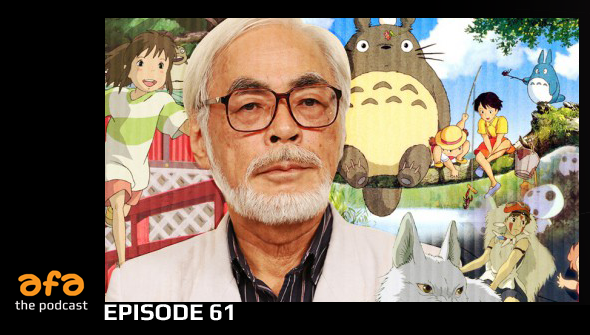 In the news section ( 0:04) we talk about Hayao Miyazaki's possible return to features, Spirited Away coming back to US cinemas, The Oscar longlist and more. Then we discuss a pair of live-action trailers adapted from animated originals, with Beauty and The Beast and Ghost In The Shell. (0:40). Finally, in the Watercooler (0:57), we talk Long Way North, Pokemon, The Perfect Insider and more. Listen to the episode here or directly download the episode here. You can also find us on iTunes, podcasts.com and Stitcher. Don't forget to subscribe and if you like the episode why not leave us a review on iTunes (or your preferred podcast platform)? It can really help others find the show! Get the RSS feed here.